Until end of June 2015 we make a great gift: get your Natural Bamboo Case for Iphone 4 or 5 like this one absolutely FREE when you buy your sunglasses made from Natural Wood from www.roottarifa.com. ROOT Sunglasses made from Natural wood are natural and ecological original gift you were looking for your partner, your friends or your family ahead of Christmas. 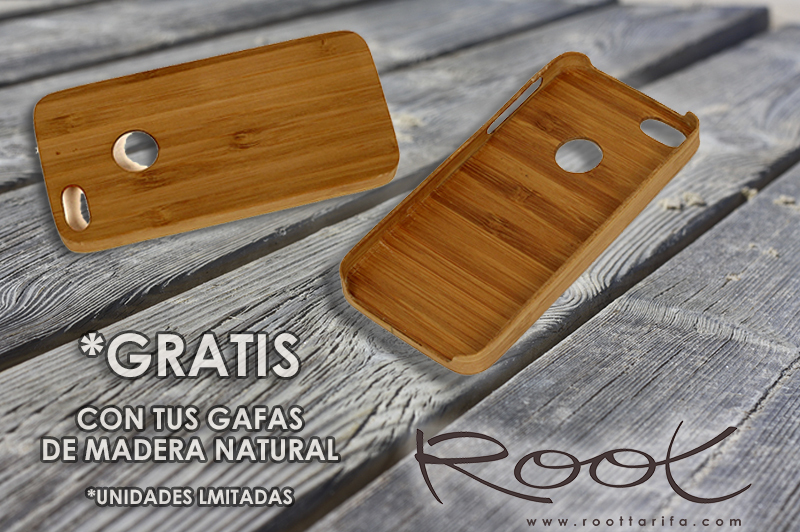 A natural product handmade, elegant and orignal with a excepcional finished and excellent value for money.